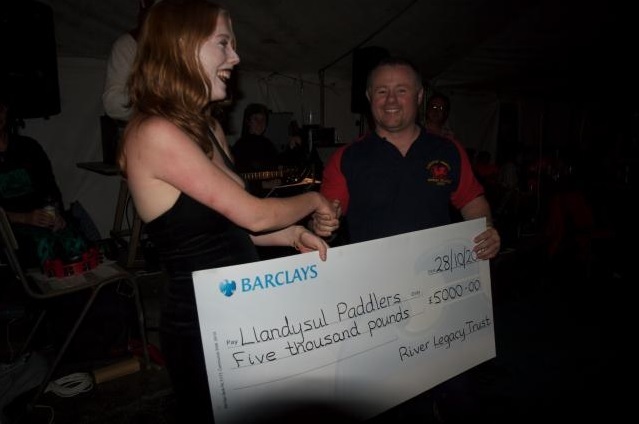 In 2006 we pledged £5000 to Llandysul Paddlers, which they put towards the purchase of an area of land adjacent to the River Teifi. Car parking has since been improved, and access to the river is far better than it was previously – essential for such an active club. The difference this purchase has made to Llandysul Paddlers has been huge, and in particular it has strengthened relationships between paddlers and fishermen in the area. A local fishing group was looking to purchase this area of land, however they backed out of the bid to allow Llandysul Paddlers to succeed. Currently the two organisations have come to an agreement whereby they are both contributing to the creation of a lake adjacent to the river; essentially the fishing club has enabled Llandysul Paddlers to build a full-sized lake which they wouldn’t have been able to afford on their own. The lake will be used by Llandysul Paddlers for flat-water coaching and polo practise, as well as a stocking pond for the fishing group.